If you don’t already know about THE OUTNET, you need to! So, who is THE OUTNET and why should you care? In short, THE OUTNET, whose befitting tagline “everything reduced but the thrill”, launched in 2009 by the people behind NET-A-PORTER.COM. THE OUTNET is world-renowned as the go-to destination for the style-conscious shopper looking for the best designer products at great prices. 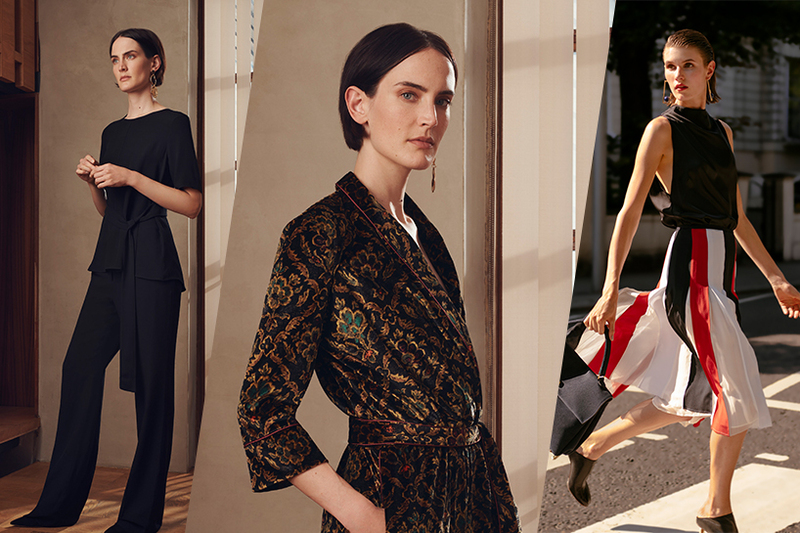 THE OUTNET stocks an unparalleled selection of previous season designer fashion from over 350 brands, as well as exclusive collaborations with high-profile designer labels and its in-house label, Iris & Ink. Available to Dubli.com customers in the UAE and Saudi Arabia, we took a look at what’s happening this month on THE OUTNET.COM. In keeping with the global “Fashion Week” trend, the main theme on the site for September is Fashion Month where they will celebrate with major uploads of Missoni, Marni and Stella McCartney. An example…check out this Marni crossover ruffle-trimmed printed cotton-poplin dress which features a classic zigzag pattern. After all, we expect nothing less from the Italian powerhouse. Marni who, similar to Missoni, is renowned for its irresistibly eclectic designs – with statement necklaces and dresses to infuse your wardrobe with a bold pattern and bright color. You must check out THE OUTNET’S private label, Iris & Ink, this month where they unveil the FW18 collection. Fall/winter 2018 sees Iris & Ink continuing to offer the timeless essentials and statement styles for which the label is renowned, creating a wardrobe that works anytime, anywhere. Iris & Ink inspires stylish women with collections that are forward-thinking, with a firm nod to the classics. This seasonal collection is composed of trend-led pieces which complement THE OUTNET’s on-site luxury designer offering. Premium quality remains at the heart of the Iris & Ink aesthetic, with texture also playing a key role this season. Stand-out shearling, structured suiting, and triple-gauge cashmere knits give a luxurious touch, while companion pieces in fluid silks and soft leathers combine perfectly for a head-to-toe look. Suiting is key this season, with tailored blazers, cigarette pants and pencil skirts in bespoke checks and plaids. These versatile sets can be styled together for that perfectly on-trend double-check look or worn as separates for pared-down glamour. Classic knitwear styles are modernized with oversized sleeves and fashion-forward design details and can be teamed with Iris & Ink’s trademark leather pants for a fashion failsafe. There is quite a lot to love about Iris & Ink this season. Among the favorites of this editor is the Summer ruffle-trimmed French cotton terry sweatshirt. Simple, timeless, versatile and, well, just plain yummy to wear out and about, with jeans or for a cool Fall evening spent around the fire pit. Featuring an elegant Wedding Boutique and a Workwear Boutique, THE OUTNET Editorial section is better than ever this September. 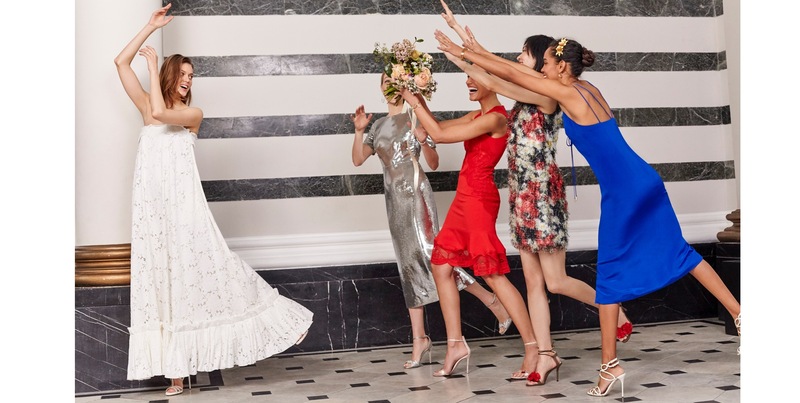 With invitations streaming in which can only mean one thing – wedding season is officially here, THE OUTNET is a destination of choice to have you dressed to the 9’s. Whether you are a bride-to-be trying to find the dress of your dreams, or a guest of honor looking for a new outfit to make an entrance, your search for ‘the one’ ends here. Plus, they’ve got expert advice from the presenter and recent bride Laura Jackson as she shares her personal tips and tricks for the perfect day. Whether you have that oh so romantic vision, looking for the perfect LBD or trying to be the guest that everyone remembers in the edgy jumpsuit, THE OUTNET has got you covered.